Domburg is the oldest coastal town in Zeeland. Its rich history and beautiful beaches make it an attractive destination for tourists visiting the Netherlands. 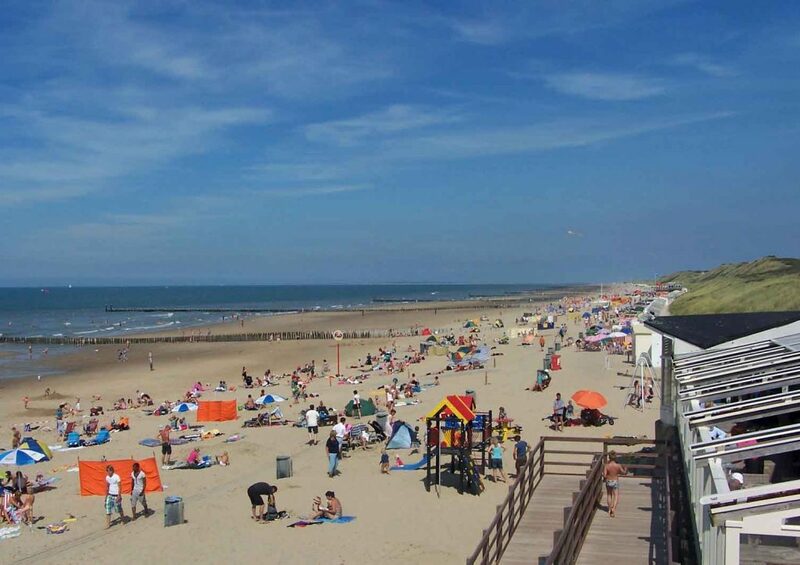 Located behind sand dunes, the wide sandy beaches extend all the way to Westkapelle. Because Domburg is located in the Zeeland province, the area enjoys more sunshine than other areas of the Netherlands. Like other Blue Flag beaches, Domburg offers public restrooms and showers. There are many wastebaskets along the shore as well to ensure the beach is clean and tidy. Beachgoers also have the chance to rent beach chairs, beach huts, parasols and windscreens. No matter whether you prefer to relax on the beach or stay active, Domburg has many fun things to do. Cycling – Coastal cycling paths take you through the dunes and through the peaceful countryside. Horseback riding – Horseback riding is permitted on Domburg beaches, but there are some restrictions. During the summer (May 1 – October 1), riding is prohibited between 10AM and 7PM. Outside of this period, riding is allowed at any time. Fishing – Fishing is allowed on the beach in Domburg throughout the year. Surfing – Wave surfing is particularly popular along these beaches. Kiting – The Eastern and Western beaches are hot spots for kiting. Several beach pavilions can also be found in Domburg. Here, visitors can get food, drink, ice cream and snacks. The center of town is located just behind the dunes. Several shops, pubs, restaurants and cafes can be found in town. Most of these establishments have outdoor terraces that allow you to enjoy the crisp sea air. Small boutiques and antique shops can be found on some of the city’s small streets. Many of the shops stay open every day of the week. There are more than 20 hotels in Domburg. There are also a few camping areas and a large holiday park. If you prefer private accommodations, there are beach homes that can be rented during your stay. The five star holiday park is an excellent place to stay. Aside from a camping site, the park includes a swimming paradise and spa.